Thoughts on Clevinger going forward? Feels like he’s got a pitch mix and quality that will continue to play. What’s more exciting is that he has enough to continue to pitch well, even when one of his pitches doesn’t show up on any given day. He’s an old school pitcher who battles his way through games and doesn’t blow up often. He may never with the Cy Young award, but I can see him being as a perennial top 15 for years to come. a. After looking at this RECAP, all I can say is – You da ma, mensch! b. So I was wrong about LA not going to the WS!! Good luck, Dodgers! Hope you get to see a few games. Susy died at the right time, the fortunate time of life, the happy age—twenty-four years. At twenty-four, such a girl has seen the hest of life—life as a happy dream. After that age the risks begin; responsibility comes, and with it the cares, the sorrows, and the inevitable tragedy. @Ante Galic: A. I’m the da man, man? B. Let’s go Dodgers — clap clap CLAP CLAP C. Bummer! Meant to write You da man, came out like You da ma as in YoYoMa, still good because it just means that you’re the top in your field as was YoYoMa for the cello, get it? You’re not making it any easier to get myself out the mess I made. Sorry about the bummer, but reality hurts too. The quote comes from his autobiography. Here’s another quote just for you and our gentle readers to make up for the depression. ADAM [at Eve’s grave]: Wheresoever she was, there was Eden. Aw, man, that’s depressing too! He’s at her grave! You’re being picky. They’re in paradise! If they’re in paradise why is one of them in a grave? Won my roto drafting Nola in 6th, Paxton in 9th, a nd Snell in 17th. The other 3 arm i took in top 20 rounds were dropped early (Castillo, Arrieta, T Walker). In other words….DON’T DRAFT PITCHERS EARLY!!!!!! I mean they weren’t bad by any means after being accused of using coca cola infused pine tar or whatever the heck it was. Just not otherwordly like they were to start the season. 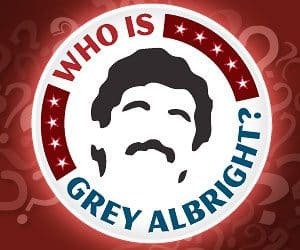 Grey, who do you have for the WS? got to be Boston right? Are you going to try to get tickets for any of the games or just couch it? For that kinda money, you should at least get to hang out with a player, maybe dinner at Puigs house or something. LOL. Forgot about the licking. That’s like his main personality trait! @Grey: I saw Boston-St. Louis Game 3 in 2013 in St. Louis. Sat 25 rows behind Cardinals dugout right about the on-deck circle. Only $1,000, which was good deal. Peeps next to me paid $1,500 and $2,000. @Grey: Yeah you didn’t get much value for your dollar! I saw game 3 of the 2013 series, which the Cardinals won on the infamous interference call at third base that allowed Allen Craig to score. At least I feel like I got value for my money!! I can’t thank you enough for the SP tips. Over the years, this is where checking in with your rankings, daily write-ups and draft style have made the difference. Who uses QS instead of W? It’s biased toward AL. But ERA is biased toward NL. The league I run uses QS in addition to W (can’t quite pull the plug on tradition). Convince me to make the move (or at least present it to the league). To ‘balance’ out the hitting cats, we added OBP. By the by – I won this H2H league with some combination of these gems: C-Mart, Lester, Berrios, Ryu, Manaea, Mikolas, Buehler, Flaherty, Stripling, Hill, and Bieber. Berrios was a 3.15 ERAish with 5:1 K:BB rate in the first half. 4.63 ERA with a 2:1ish K:BB in the second half. Thoughts on him heading into next year? Fair point on wins with degrom, but wins aren’t exactly completely unpredictable. Just look at the Vegas over unders for team wins. The mets was 80, the astros was 100. A lot of sabermetric type fantasy experts ignore the quality of the team of the pitcher is on when ranking. So yeah while the pitcher doesn’t have complete control over wins (same as hitters and rbis as you mentioned) the fantasy drafter has control over not reaching for good players on bad teams. Not that you watch football but for the 10 other people maybe who read this it’s kind of like David Johnson on the Arizona Cardinals this year. he’s a great young running back but the team is brutal. If he played on the Rams he might be the number one fantasy player. But because he plays on the worst team in the league he’s been a huge disappointment. Moral of the story, quality of team needs to have a much bigger factor in fantasy ranking. @Grey: i didnt really cherry pick, i said basically the entire top 20 was on significantly winning teams. All you’re doing is pointing out that there are some exceptions to the rule which obviously that’s the case. @Cram It: how ugly are you? Makes me sick how ugly you are. @Wally Pipp: They already do get a boost because W’s count in the ranking too. If you’ve got 4-5 guys in a tier, then sure, use a team’s offense as a tie-breaker within that tier. For every David Johnson, there’s a Barry Sanders. Pretty sure whenever Barry took the field, the defense keyed on the run too. The cream usually rises… like deGrom and Snell. Well, after reading your first few position recaps one would look at my roster and say “So, how’d this guy win?” Finally, looking at SP’s breaks it down. Bauer and Morton were bread and butter, but Folty was gravy. Got him at pick 319. By far my best pick of draft. Thanks, Folty! I didn’t have top 5 at any position. I think I’m content at drafting a 6-9th ranked guy at every position. I’ll take seven 13 game winners with 175ks and a 3.25 era and a few 20/80 .280 guys any day. Yeah, 5-6 SPs, a closer and a couple vultures and you’re good to go. Funny thing is I drafted one closer and just winged it on the 2nd and owned every Angel scrub that managed a SV. But because I was low on SV’s all year I drafted and played D. Robertson most weeks and he was quite productive. One or two high K, low whip guys who vulture wins and saves can help win a league. Kinda like A. Miller a few years back or also Hader this year. There are some hidden gems too that can come into play with injuries. The first place team in my league also had 4 starters on this list. Dang that was a great team. In a 16 team league, just too hard to beat. yo you didn’t place the Kersh in the top 20? He prob done anyway, won’t get 150 innings. I bet you will fade a bit on Mikolas coming into next season cuz his low K’s. I picked him up in the 24th round so I’m all in to keep him. I ain’t putting Mikolas in the top 20, doggie time fresh… You feel me, DTF? That’s not a weird acronym right? Damn, forgot Kershaw, let me fix that! Hey Grey, hope you’re enjoying football season. Teehee. Found this awesome article on pitch tipping. Worth a read. Fascinating stuff. Haha, yeah, I don’t care…It’s not like Bauer is going to win Cy Young — And I predicted Lewis Brinson as Rookie of the Year! Man, what?! @Grey: You love those 20/20/.200 guys. And average is so fickle! @Cram It: Love the Will Clark bit in particular. He was my favorite player as a kid. Yeah, that was solid… Thanks for sharing! @Grey: For reals, I mean…muscle twitches in the forearm? Christ. Probably helps that they have 20/0 vision. But still. watch out for that red light! 2,000 yards in front of us! Based on the 7 pitching categories in my league, Kershaw comes in at #11. Gotta be a mistake here. Where is Kershaw? Why no Kershaw? Not sure, what’s your take? My take is Kershaw is the #11 SP in my league based on seven categories! (Wins, Saves, Holds, Ks, Whip, ERA, and Walks). That’s how the final ratings list him with those numbers anyway. #28 seems kinda low even with his numbers being less with less innings. Flaherty went 67 overall in the first NFBC. Buehler 46. Yeah. Kershaw went #6. Barf. What year is it? I’d much rather have Buehler at 46 than Kershaw at 6. But I’ll take neither. Marquez second half was awesome but at 57 is a bit reachy too. Folty went right after. A lot of reaches on SP IMO. Actually, I correct myself: Kershaw went #6 in rd 2, so 21 overall. Still makes me vomit. Yeah, I dunno. The guy spearheading it is legit and says: ” This league has an Overall Main Event Winner. Two or three multiple Main Event winners. Two or three NFBC Media types. Must be the “Media types” making those picks. Fake news? Everything I’ve read suggests pitching will go higher in drafts next year, at least the top two tiers of pitching, because of the drastic dropoff afterward. I won’t draft pitching any higher than I normally do. I usually find a couple guys late that can help me, which I did last year with Flaherty, Ryu and Fiers. Pitching is too unpredictable and risky. The hitters are almost always a much more solid bet. @Harley Earl: You make a good point. I thought the same thing, and many of the drafts I was in this year the pitching went as it had before! Anyone heard of any issues getting money from Fantrax? My Fantrax account shows my money went to my paypal account on 10/10, but nothing has shown up yet in my account? @The Great Knoche: Never mind. Figured it out. Looks like Acuña went number 3 overall in the first nfbc draft of 2019. Soto 30. Marquez 57. It’s definitely not a “bad” pick but hopefully he drops lower in most drafts. This was a heavyweight league too with money involved. I don’t know, feels like a bad pick… I mean, not awful, I guess… But you can do safer, and get a solid OF later — Where did Yelich go? Agreed on Machado. He almost single handedly won me a league in 2015 when he hit 35 hr and stole 20 bags. I got him in round 8 after his shortened 2014 year. Strangely he stole 0 bases in 2016 though. Last two years seem to be his baseline. As long as his knee holds up he is gold. He carries some risk but so do a lot of guys. Personally, I like Acuna as a top 10-12 pick. I don’t think it’s too high at all for him. Agree, Machado is way undervalued. I have him on a keeper from last year. Got him with the #24 pick. Couldn’t believe he was still there. Wasted my #25 pick on Bellinger though. Let me clarify, #3 is too high. But top 10-12 doesn’t seem too high to me. There are safer bets, yes. But there aren’t any with higher upside. There will be several young studs (Acuña, Soto, Mondesi, Torres, Andujar, Albies, Guerrero that will all be top 100 next year but have a short track record. I think the problem is when we project too much with a small sample size. I like upside as much as anyone but have to balance upside potential with proven (but not moving into mid-30’s) numbers. I’d rather risk upside coming too early than trying to beat decline. The problem we all know is when young guys have too much upside projected hopefully and are taken too high. We’ve all done that but its a bad habit Ive learned. @Dave D: Exactly! No way I take Acuna over Machado! what are your thoughts on this keeper deal? The league is H2H and we keep 10 guys. I trade away Bellinger and Trea. In return I get Buehler, Jean Segura, and Scotter. Should i be asking for more? how far is this deal off? How far off is the deal? @Grey: It’s an awful deal dude. Do NOT give up Trea and Bellinger for that. Run like hell! Grey is being nice, trying not to offend or upset you. I’m not running this website, so I can spell it out in plain English. DO. NOT. MAKE. THAT. TRADE.